Ideal for use in multiple or remote locations. These units are unaffected by weather and/or wet conditions. Provides safe, one-person lifting of heavy equipment in a variety of work sites. Its lightweight design enables for quick assembly and knockdown. 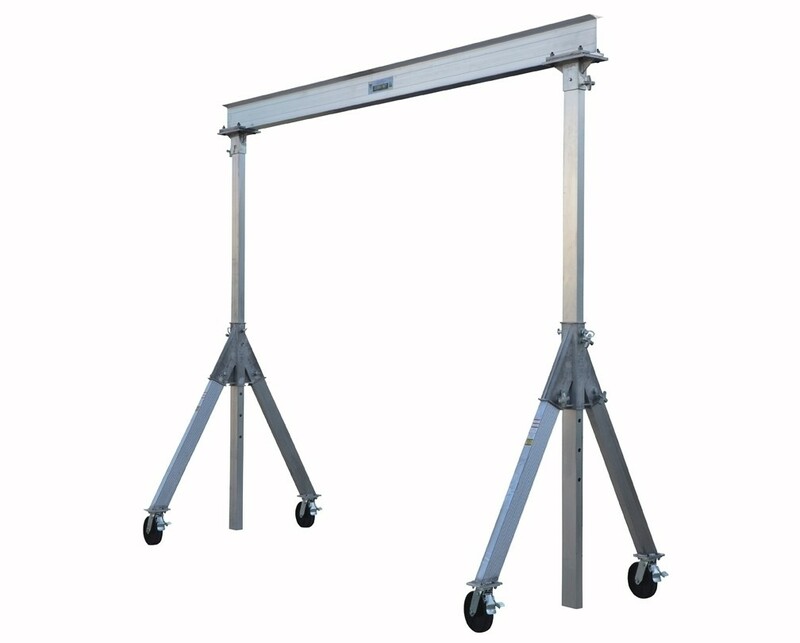 The welded aluminum cranes have adjustable I-beams for an infinite number of span settings, plus 2 adjustable height uprights. Includes 4 position swivel locks for secure placement. Hoist and Trolley available. FOB Shipping Point.